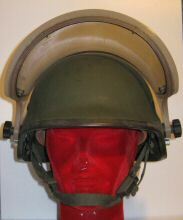 Motor Torpedo Boat Crew helmet...one of the first composite helmets - made of fibreglass! 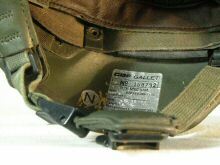 DENMARK - M92 - made by Gallet - note similar (identical?) 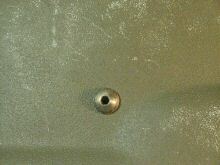 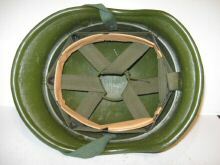 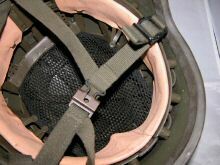 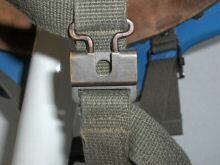 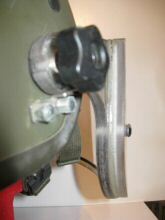 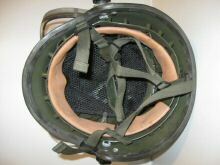 chinstrap and fastening as used by the Canadian CG 634 and German B828 para helmet. 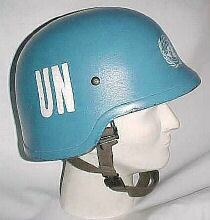 Used by Danish troops on UN missions. 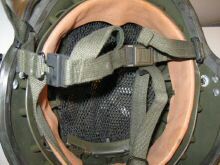 SCHUBERTH 826 - details of Danish-used example. 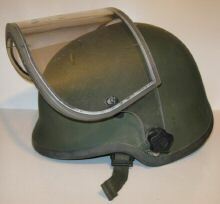 SCHUBERTH 826 - as issued to Danish Army. ? 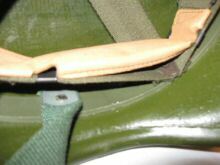 Note no catch on arrowhead fastener. 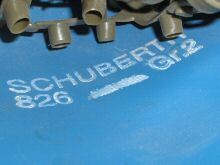 This form of Schuberth stamp seems specific to Danish-used examples. 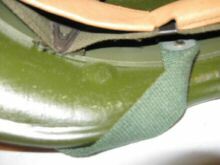 Unfortunately no 'Gron' anywhere, so its possible that this is *not* a Danish issue. 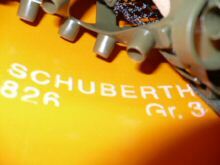 "It is also true that for a very short time before turning to the French-made Gallet, we did issue a standard green coloured Schubert. 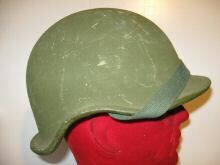 And I´d say, if your helmet on its label has the word "Gron" (Grøn), it is most likely a Danish used Schubert since "Grøn" is simply Danish for "Green". 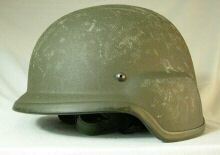 A helmet that is actually very hard to come by since not that many were handed out." 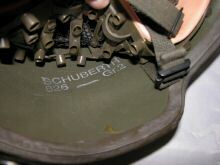 - Jacob Andersen, Danish composite collector. 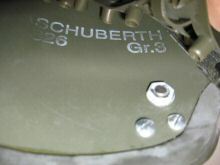 There is also a possibility that Danish 826 have a circular marking/stamping in the crown, with something similar to 95/067 within. 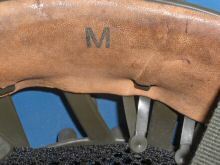 Nothing in this specific example, but it would be worth knowing if this is unique to Danish 826. 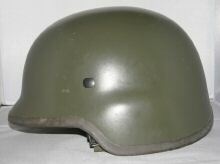 "Schuberth 826 helmet for the Danish homeguard on Bornholm. 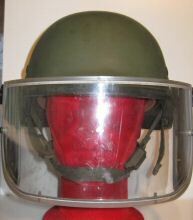 The island was under Soviet control after WWII and so the people on Bornholm are still well prepared. 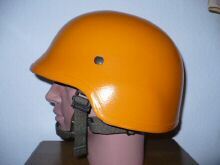 The shell is painted in bright orange, the chin strap has no survival buckle. 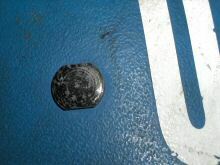 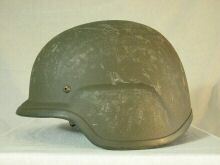 Inside is the Schuberth marking in white paint." 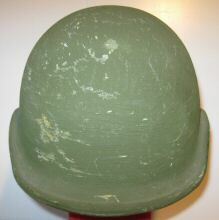 "First and foremost: The Home Guard on Bornholm is part of the nationwide Homeguard, the HJV (Hjemmeværnet). 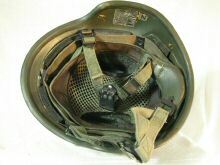 Therefore they are issued standard military equipment - helmet M/96, uniform M/84 and LBE M/96. 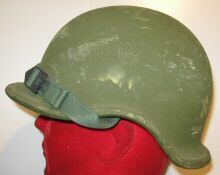 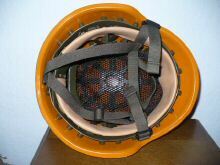 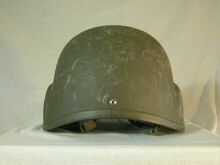 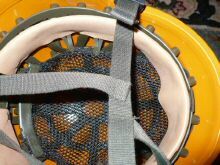 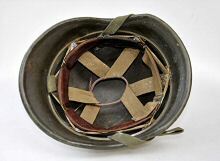 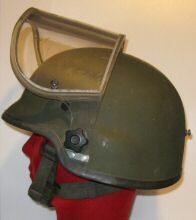 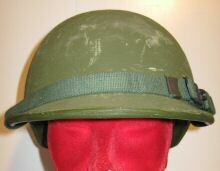 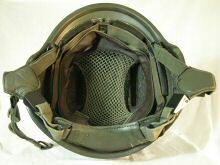 The helmet mislabelled as a Schuberth 826 helmet for the Danish homeguard on Bornholm, is Schuberth 826 helmet for the Beredskabsstyrelsen, - the modern equivalent of the civil defence during the cold war. 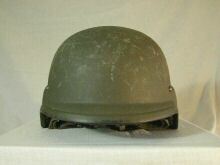 The helmet is used home or if partaking in civil missions abroad, like the Tsunami in Asia or earthquakes and similar. 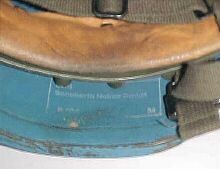 More can be read about Beredskabsstyrelsen here . 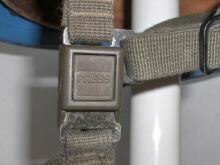 Beredskabstyrelsen is labelled "civil defence" but is organised as a military unit. 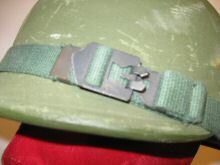 With a ranks system, barracks and privates being called up from the annual conscripts. 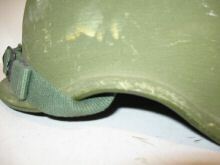 Just like the military."